After a hectic month and half racing season culminated with Jackie and Cheryl bringing home 2nd and 3rd place honors in the St Louis Track Club Half Marathon, the Runnababez planned to relax for a bit before tackling their next races. Apparently a bit is equal to about 6 days. Cheryl took a quick trip down memory lane this weekend. Her William Woods Owls women won their conference Cross Country meet and qualified for the NAIA National Championships. Along with the Owls success, Cheryl was able to make it to Jefferson City to cheer on her alma mater, Lafayette High School, to a 3rd place showing at the Missouri State Cross Country Championships. Speaking of the Missouri State Cross Country Championships, Amanda had one heck of a weekend. As an assistant coach for the Festus Tigers, Amanda was pulling double duty with both their boys and girls teams qualifying to the state meet. 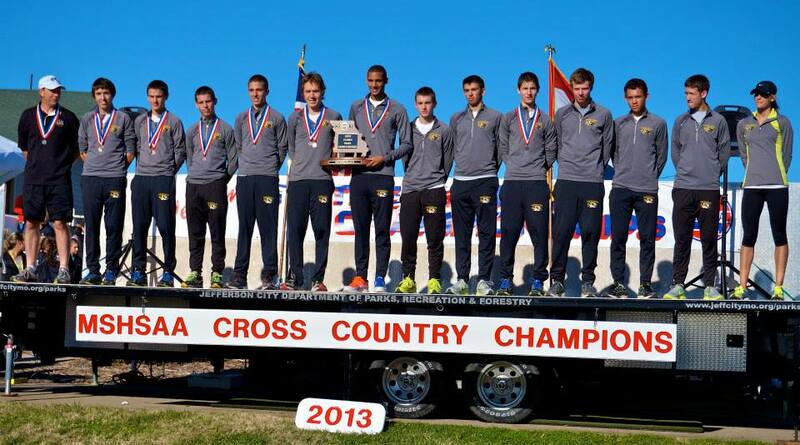 The boys set the tone early with 3 All State athletes, including the individual State Champ. That was good enough for Amanda’s boys to earn the 2nd place trophy. A little over an hour later, her girls were crossing the line earning 4 All State awards and another podium finish and 2nd place trophy. Heading a bit farther east, the Runnababez were being represented in our nation’s capital as well. Runnababez buddy Lauryn was enjoying a weekend in Washington DC and decided to partake in the Veterans Day 10k. 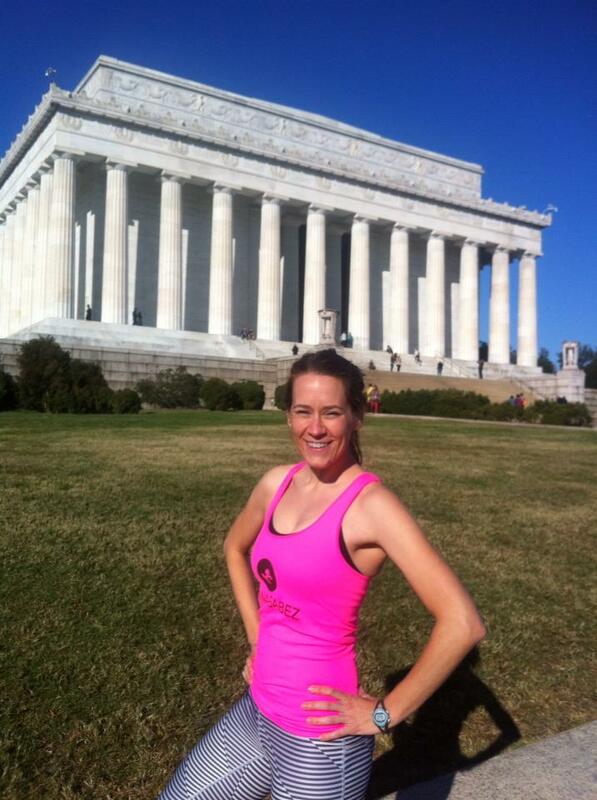 Gotta love seeing the Runnababez logo in front of the Lincoln Memorial during Veterans Day weekend. Finally, heading south, Lisa arrived in Fort Lauderdale for a long planned vacation. Upon arriving at the hotel, she found that the turnaround for a half marathon to be run the following morning was right at the front door step. Well that got someone very fired up to race. With a 4:30 am alarm clock (3:30 body clock) and a 5:15 taxi, she headed out for a morning of half marathoning. A quick 10 min cab ride and raceday registration later, and Lisa was ready to roll. 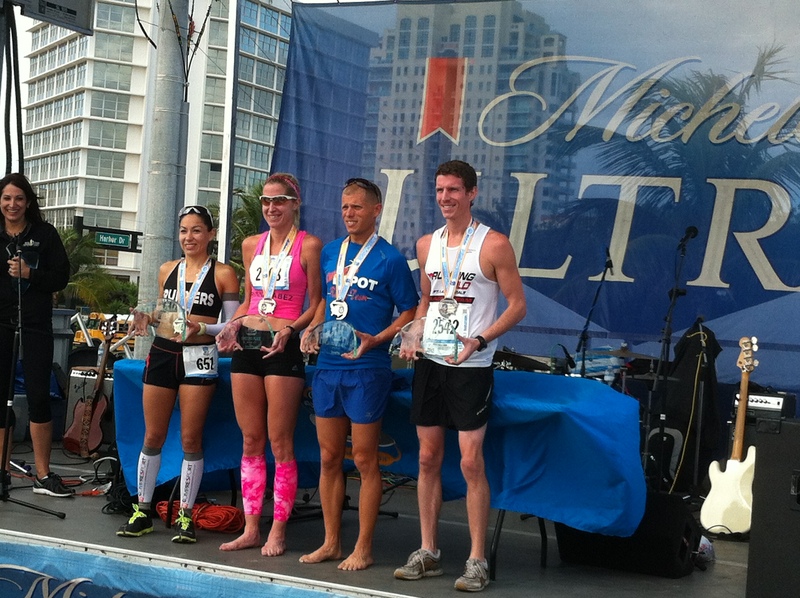 Hot, humid, and very windy weather kept the times far from what you would expect on a flat course. Not sure how she’d feel one week after a rough marathon experience in Indianapolis, Lisa settled into a nice rhythm keeping the womens leader in eyesight. Racheting the pace down over the final miles, Lisa ran out of real estate to bring home the race win, but enjoyed one heck of a fun race. 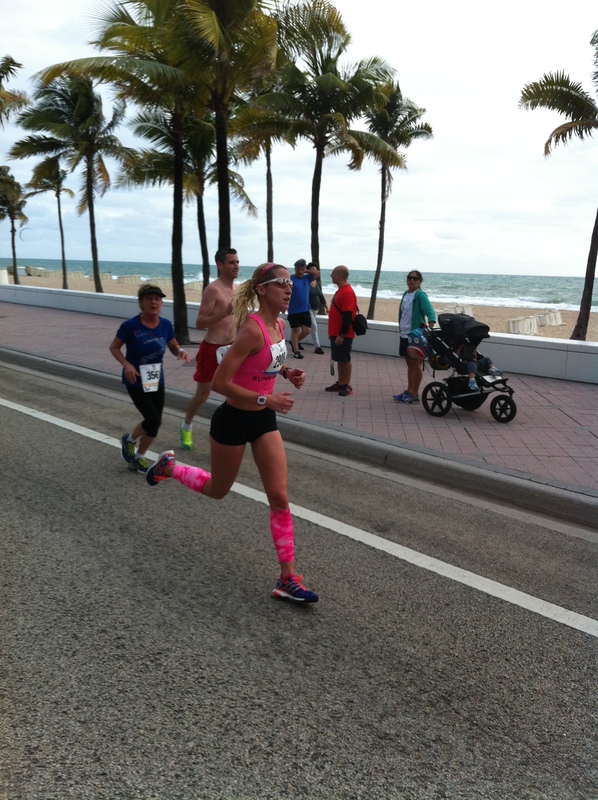 Check out the race articles from The Sun Sentinel here, and Runnersweb here.